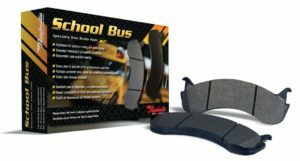 Raybestos® Specialty School Bus disc brake pads are designed and engineered for hardworking bus fleets to provide optimum safety and outstanding performance on all applications. 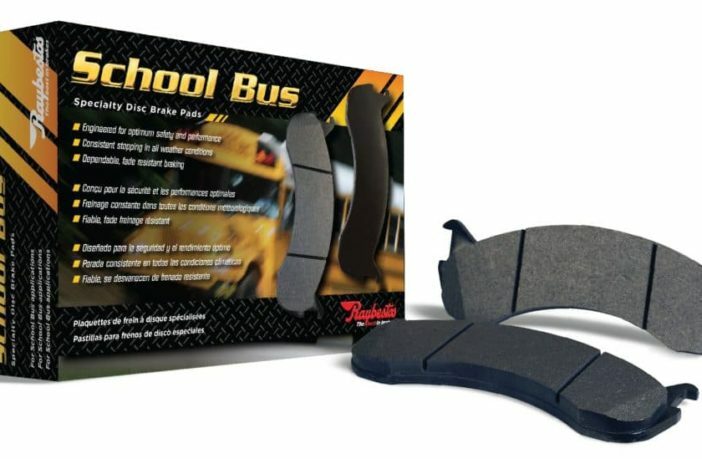 For more information on Raybestos School Bus disc brake pads, or the complete line of quality Raybestos brake products, including disc pads and shoes, rotors and drums, master cylinders, wheel cylinders, calipers, hoses, cables and hardware, visit www.Raybestos.com. Raybestos® has been known as the best in brakes for over 100 years. With a demonstrated commitment to research, development and testing, Raybestos is widely recognized for quality brake components, including friction, rotors, drums, calipers and hydraulic products. The brand was the first to introduce Enhanced Hybrid Technology (EHT®) with its Element3® brake pads, delivering the best attributes of ceramic and semi-metallic for optimal performance, improved pad wear and durability, and increased stopping power during aggressive braking. To learn more, visit www.Raybestos.com.